“God has, in fact, written two books, not just one. Of course, we are all familiar with the first book he wrote, namely Scripture. But he has written a second book called creation,” so said Francis Bacon. As our knowledge of creation expands, how will our relationship with these two books evolve? As I contemplate the church’s celebration of the Reformation, I am struck by the wealth of information that can be summoned by my fingertips. Just as the invention of the printing press worked its own kind of magic on the Christian Church, the electronic media has propelled us into the Age of Information and Christianity is evolving. The impact of our expanding knowledge is changing the way we view reality and our place in it. As the religions of the world continue to evolve, we can begin to open ourselves to the wondrous possibilities of an entirely new understanding of reality. No history of the reformation that is happening all around us will be complete without the inclusion of our broadening understanding of our biological origins. 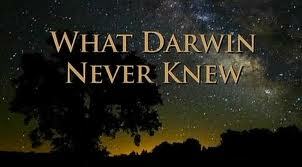 This entry was posted in Adult Education, Evolutionary Christianity, Progressive Theology, Theology and tagged Charles Darwin, emerging church, evolutionary christianity, Francis Bacon, new Reformation, progressive christianity, spirituality, theology, twenty-first century reformation by Rev. Dawn Hutchings. Bookmark the permalink.